Research led by Swansea University's Bioscience department have found that the world's centre of biodiversity is under widespread threat of losing a key marine resource. Writing about the findings in the recent Science of the Total Environment journal, researchers examined the risks to seagrass meadows throughout the vast Indonesian archipelago that makes up a key part of the famed Coral Triangle – a marine area located in the western Pacific Ocean. This area is widely known as the centre of the world's biodiversity and the meadows are the 'Prairies of the Sea'. They are highly productive shallow water marine and coastal habitats comprised of marine plants, and these threatened areas provide important food and shelter for animals in the sea. The research led by Dr Richard Unsworth indicates that up to 90% of the seagrass meadows that they examined in Indonesia have been extensively damaged and degraded over the past five years. In the findings, researchers also discuss solutions to the problems these productive ecosystems face, including the importance of community-led conservation action. In the study they also discuss examples where seagrass conservation has been. For example, in a series of small islands in Eastern Indonesia, seagrasses were threatened by sediment and nutrient run-off from the land due to the degradation of riverbanks. As a result, replanting of riparian vegetation along the rivers as an incentive scheme with local farmers has reduced the flow of these pollutants into the sea. Dr Richard Unsworth, from Swansea University's Biosciences department, led the study and said: "Our research is for the first time recording how an area of the world so critically important for its biodiversity is rapidly losing a key marine resource. "This loss of seagrass is a terrible problem as the habitats in Indonesia have a major significance for daily food supply and general livelihoods. Without seagrass as a fishery habitat many people in Indonesia would not be able to feed their families on a daily basis." Dr Leanne Cullen-Unsworth from Cardiff University added: "The ecological value of seagrass meadows is irrefutable, yet the loss of these systems in Indonesia is accelerating. Seagrass meadows in Indonesia are mostly ignored in the conservation arena. "As a result, they're often not monitored, poorly researched and largely and unmanaged, leading to a tragedy of the seagrass commons." Professor Rohani Ambo-Rappe of Hasanuddin University, Indonesia, a collaborator on the research stated: "Declining seagrass health is the result of shifting environmental conditions due largely to coastal development, land reclamation, and deforestation, as well as seaweed farming, overfishing and garbage dumping. 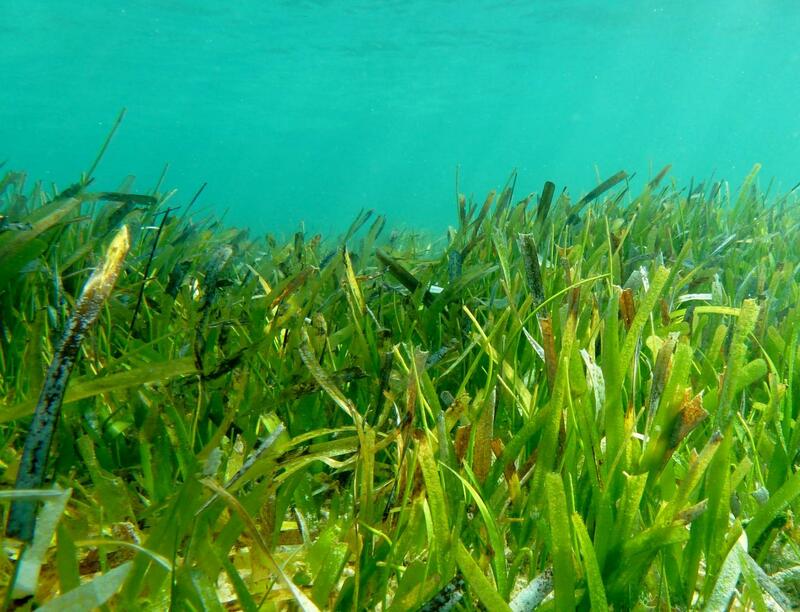 "The poor state of Indonesia's seagrasses will compromise their resilience to climate change and result in a loss of their ability to lock away carbon dioxide and provide important fisheries habitats."